Alstrom Hallgren syndrome is a rare ciliopathy first described in 1959. It is characterised by progressive cone-rod dystrophy leading to blindness, sensorineural hearing loss, childhood obesity and congestive heart failure. 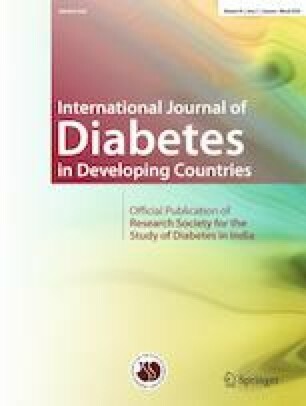 Its pathogenesis is related to development of insulin resistance, and type 2 diabetes mellitus. We report a case of a 20-year-old presenting with decompensated heart failure and had been blind since childhood who was eventually diagnosed as Alstrom syndrome based on clinical criteria. This article does not contain any use of animals or drugs by any of the authors. The authors certify that they have obtained all the appropriate consent forms. In the form, the patient has given the consent for his images and other clinical information to be reported in the journal. The patient understands that his name and initials will not be published and due efforts will be made to conceal the identity, but anonymity cannot be guaranteed. www.alstrom.org as accessed on 16/4/18.